Microsoft Excel has a built in feature, which allows you to protect any of your Excel Sheet with a password of your choice. This feature of MS Excel is specially useful if you want to protect only a part of the sensitive information from others, but the rest of the information has to be shared with others. 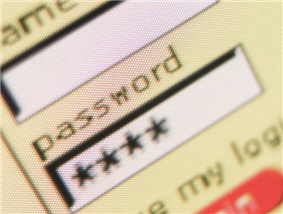 Here are the simple steps to protect your data with Excel Sheet Passwords. The associated screenshots apply to MS Excel 2007, but are applicable to other versions of MS Excel also. 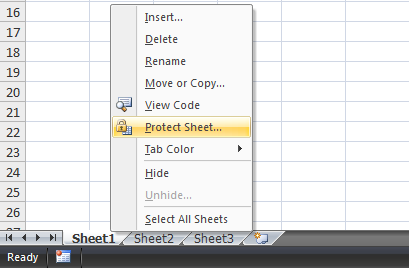 Right Click on the Target Excel Sheet > Select Protect Sheet. Enter your desired password in the next window. Check the desired options. 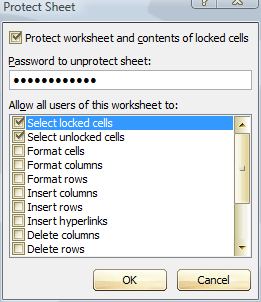 For removing the password protection from these protected Excel Worksheet, just do the opposite. Tip: If you are like me who want to have your cake and eat it too, then RoboForm is an ideal solution for you. RoboForm is world’s largest used Password manager, which allows you to totally forget about botheration of remembering passwords and also handles their security very well. Crack the Excel password with Excel Password Unlocker.